“Eko Nova.” New is here. Again. 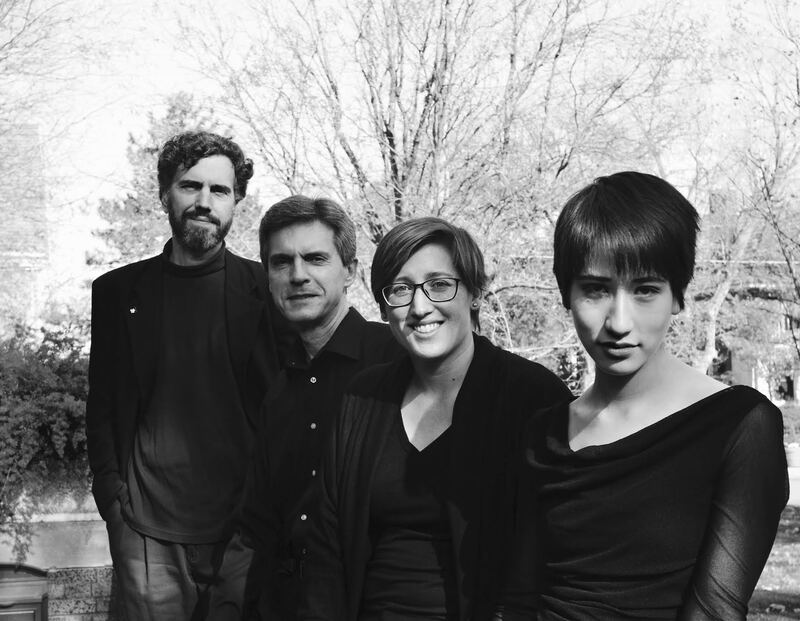 In the thus-named ongoing series, the Omaha Chamber Music Society presents Symphony artists playing modern scores for strings with roots in Appalachia, the Balkans, China and beyond. Billed as a “lighthearted classical jam session,” “Fiddle ’n Blues” delves into themes, chords and rhythms of jazz, country, Mozart and more. Mark O’Connor’s writing gets a double spotlight. Especially with the title tune from his hit record “Appalachia Waltz, ” No.1 for months on Billboard Magazine’s Classical music charts. O’Connor is famed for delving into old-timey, bluegrass, folk, and traditional European classical styles. Also on tap: his “Blackberry Mull” stirred by a visit to Scotland. Travel-wise as well, Aaron Jay Kernis’s trio item “Mozart En Route” was inspired by an epistle from the Austrian genius complaining about a carriage ride’s uncomfortable jostling. This becomes a trip: Salzburg to Nashville and back, melding quotes from Wolfgang A. with pop styles. Kernis, widely considered one of the leading composers of his generation, cites influences from Debussy to hip-hop. Shanghai-born Bright Sheng has crossed boundaries too. Living in the U.S since his late 30s, he wrote a revisit to his homeland called “Seven Tunes Heard in China” created for cellist Yo-Yo Ma. “I’m searching for a new idiom that doesn’t belong to preconceived categories,” Sheng said of this multi-level folk idiom exploration. Serbian-English Nicola Resonovic has had his works performed all over the world: the U.S., Europe, Asia, South America, Australia and Africa. No surprise then that he suggested a compass via violin and cello in “Four Points of View. ” He also suggests consideration of the four seasons, the four gospels and the four horsemen of the Apocalypse. It could be quite a ride. Blues specifically are evoked in African-American elements. Coleridge-Taylor Perkinson’s solo violin “Blue/s Forms” comes from an artist with a multi-colored palette, including baroque counterpoint, American romanticism, spirituals and more. This might dance; Perkinson’s been the music director of Jerome Robbins’s American Theater Lab and the Alvin Ailey American Dance Theater. And John Clayton’s “Bach to Blues” for solo bass walks funkily, sometimes suggesting the intricacies of a cello suite by J.S. himself. Bassist Clayton’s been a major jazz performer/composer/arranger for years including with his own big band as well as the Count Basie Orchestra and the Tonight Show band. Plus he had a five year stretch with the Netherlands Philharmonic. Eko Nova Artistic Director/Curator John Klinghammer and Assistant Principal Clarinetist in the Omaha Symphony, devised this program to evoke delight in such surprises and feature four colleagues: 2nd Associate Principal Violinist Elizabeth Furuta, Principal Cellist Paul Ledwon, Principal Violist Thomas Kluge and Bassist Danielle Meier.